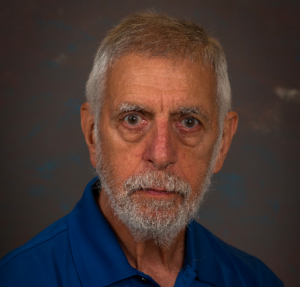 Jerold (Jerry) M. Schultz, emeritus C. Ernest Birchenall Professor of Chemical Engineering with a joint appointment in materials science and engineering at the University of Delaware, died on October 20, 2018. He was born in 1935 in San Francisco and attended the University of California-Berkeley for a bachelor’s degree and master’s degree in metallurgical engineering. He worked at Westinghouse Research Laboratories for two years and then received a doctoral degree in metallurgical engineering at Carnegie Mellon University. Schultz joined UD in 1964, teaching courses in materials science, diffraction and polymer science. Over the course of his career, Schultz authored or co-edited six books and over 200 peer-reviewed scientific papers. He received two Alexander von Humboldt Stiftung Awards, a Kliment Ohridski Medal from Bulgaria for his work in academic exchanges, and a Fulbright Fellowship. He was also a fellow in the American Physical Society and served for many years as an associate editor of Macromolecules. He advised 29 master’s students and 27 doctoral degree students. Babatunde Ogunnaike, William L. Friend Chair of Chemical Engineering, will speak at Schultz’s memorial service. John Rabolt, Karl W. and Renate Böer Professor of Materials Science and Engineering, was the founding chair of the materials science department and worked with Schultz often to shape the future of the program. “While working in polymer science at the IBM Research Laboratory in San Jose, I met Jerry Schultz at meetings of the American Physical Society, which met each March in different locations. Jerry’s research on polymers (and the book he wrote) was first rate. So in 1995 when I interviewed at UD, I had already had a very positive opinion of the faculty in Chemical Engineering and Jerry in particular. He had been a past Chair of the Materials Science program which I was hired to turn into the Department of Materials Science and Engineering. In many ways he mentored me through my early years of becoming an academic and I sought his advice often,” said Rabolt. Suresh Advani, the George W. Laird Professor of Mechanical Engineering, also knew Schultz for decades and collaborated with him on research projects. “Jerry was one of the world’s experts in polymer crystallization. He had written one of the most cited and authoritative books on this topic. His book was unique as he was the first one to address crystallization behavior in multicomponent systems under external and internal fields and did so quantitatively with mathematical models. He introduced the idea of multi-scale modeling in which we coupled his microscale models with our simulation of cooling of polymers. I had the good fortune to work with him, and he was always very positive and passionate about the research and a joy to work with,” said Advani. Schultz loved bluegrass music and established a bluegrass jam that met regularly at St. Thomas’s Episcopal Church in Newark. He was also a classical flutist and one of the original members of the Newark Symphony Orchestra. He was a bird lover and enjoyed kayaking, hiking and travel. He is survived by his wife, Peggy, children Carrie (Rob), Tim (Nanette), Peter (Cara), and Anna (Mark), grandchildren Megan and Jamie Deaton, and Carter Schultz, and step-grandchildren Emily Haraldsson (Per) and Nicholas Dracon (Lauren). A Celebration of Life with Eucharist in Jerry’s memory will be held on November 3 at 11am at St. Thomas’s Church (276 S. College Ave., Newark, DE 19711. A light lunch will follow.